This group waits on Gibson Hill for a classmate and chaperone to catch up. Thursday was graduation day for the fifth-graders at Albany’s Oak Grove School who took part in a weeklong “bike safety carnival.” With volunteer instructors and chaperones leading they way and bringing up the rear, several groups of half a dozen or more rode through North Albany neighborhoods and headed down busy Gibson Hill Road to North Albany Middle School. 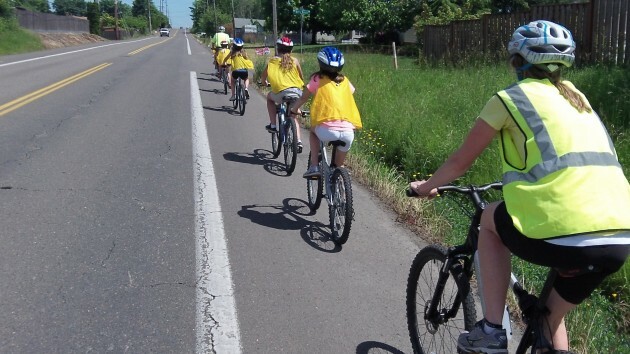 It’s on Gibson Hill Road where the city plans to build a trail separate from the road next year, which might make parents a little less nervous about letting their children ride a bike to and from the middle school..
With adults front and back, another group chugs up the road. 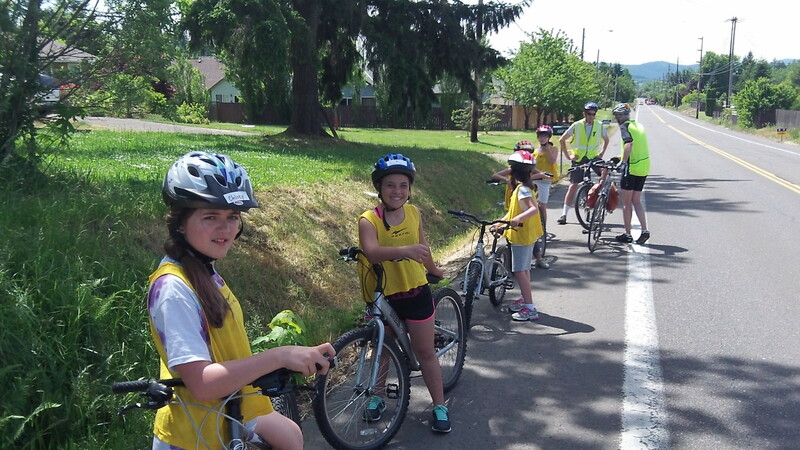 For years volunteers have been coaching Albany fifth-grade classes in bike safety and rules of the road for cycling. Before the current school year is out, classes will also be held for children at Waverly and Sunrise schools. 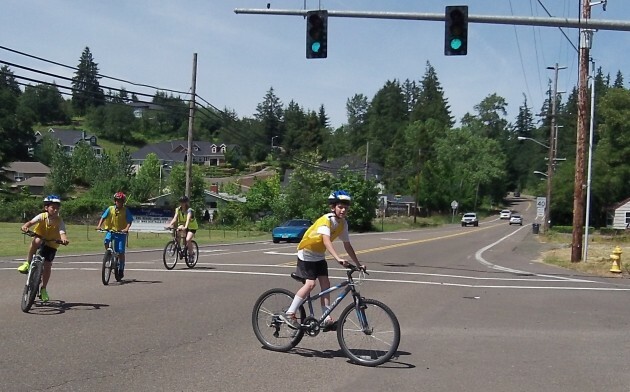 Making a left toward North Albany Middle School. These two are enjoying themselves. Being a bit of a bike rider myself, and having volunteered with these folks, I can tell you it is a super opportunity for the students. 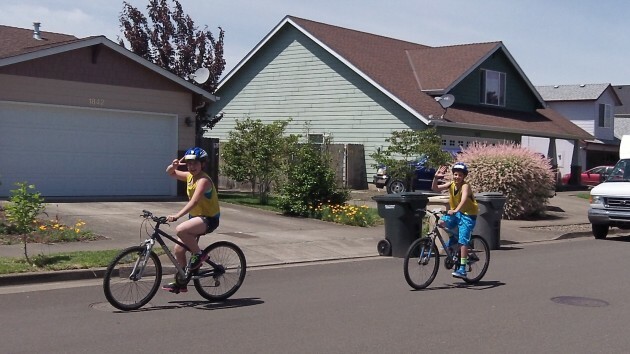 Not only do they learn the rules of the road, but they get to experience the larger world a bike opens up.